Fibromyalgia is a multi-symptom condition that affects many times more women than men. Twenty years ago, you rarely heard of fibromyalgia. Doctors didn’t recognize the disorder and did not know how to treat it. Patients with fibromyalgia type symptoms were often lumped into other diagnosis and were even referred for psychiatric counseling, their doctors didn’t believe that they were having real physiological symptoms. You may find fibromyalgia (FM) and chronic fatigue syndrome (CFS) discussed in the same articles and discussion groups. Both share similar symptoms and the dietary and lifestyle changes for fibromyalgia can also work for chronic fatigue syndrome in some people. 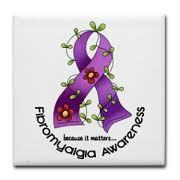 Every fibromyalgia patient may have differing degrees of fatigue, muscle pain, fibro fog (short-term memory loss), Irritable Bowel Syndrome, depression, headaches and sleep disturbances. Fibromyalgia sufferers may have some of the symptoms but not necessarily all of them. In the more severe cases the fibromyalgia sufferer may have all of the symptoms related to fibromyalgia. The cases range from mild to severe and symptoms can come on like a lion and then diminish and leave for days or weeks. Science does not fully understand fibromyalgia or it’s causes. It seems to be a modern syndrome brought on by our exposure to certain elements in the modern world. Working with my clients that suffer from fibromyalgia, and from research that has been published, we can, with some amount of confidence, state that fibromyalgia may stem from physical and emotional stress, environmental and emotional toxicities, fungus and parasitic infections, sleep deprivation and physical trauma or a combination of these. The exact mechanisms from these events that trigger fibromyalgia are not fully understood. However, current research does suggest that the added stresses brought about by the events or exposures interfere with the body’s natural intestinal balance creating a toxic bowel condition and leaky gut syndrome. As a result of the stress overload in the digestive system, the mucosa lining and membranes of the large intestine become thin and are no longer able to adequately protect intestinal walls. The intestinal walls become weakened and thin and may begin to leak toxic materials and partially digested food particles into the blood stream potentially creating the symptoms of fibromyalgia. Since we now know this is a condition of toxicity, the diet must be changed to provide nutrients to bring health to the digestive system, in particular the intestines. Additionally, an overall approach to bring about body balance is important. We must remove antagonist foods and replace them with nutrient rich foods. If you have fibromyalgia, diet, gentle exercise and stress reduction are critical for health improvement. I have worked with several people with fibromyalgia, and in all cases improvements have been made. Fibromyalgia is not a condition that goes away quickly. You must be patient, correcting this condition takes time. It may take months for symptoms to begin to lessen. However, for some people, a reduction in some symptoms can be seen in a matter of a few weeks. Refined and processed foods must be eliminated as much as possible. This includes fast food and you must be careful when dinning out due to the use of preservatives and excessive sugar and salt. Foods in boxes and packages, with the exception of vegetables and fruits, are usually body polluters. If you smoke please quit. If you live with a smoker, get them to smoke outside. Second hand smoke can be as bad or even worse than smoking. Eliminate alcohol and caffeine from your diet. They are irritants and may make your symptoms worse. Get 8 or more hours of quality sleep per day. Hydration is very important. You should consume at least ½ your weight in ounces of water per day. With fibromyalgia the chance for a Candida overgrowth is likely. Simple carbohydrates must be kept at a minimum and if possible eliminated completely. Foods that turn to blood sugar quickly (a high glycemic index or high glycemic load rating) will feed any fungus in your body. This link provides great information to help you kill the Candida fungus and reestablish healthy gut flora. All fruit juices, breads, beers and yeast products must be avoided. Alcohol is a form of sugar. Complex carbohydrates should come from vegetables, whole grains (oatmeal, oat bran, buckwheat, Bulgar wheat), and beans. Even if you do not have Candida or other fungi, you should limit the intake of high glycemic foods. Foods that turn to blood sugar quickly create a pro-inflammatory condition in the body that can over stimulate the immune system and create hormonal imbalances. Once the fungus is controlled, your diet should consist primarily of vegetables, low sugar fruits, beans, whole grains, nuts and seeds and healthy oils and fats. You need both raw and cooked vegetables. At least 50% of your vegetables should be raw. You should consume foods high fiber foods, and rich in the following nutrients; Vitamin A, Vitamin C, Vitamin E, magnesium, selenium, zinc and Omega 3 fatty acids. Foods with a high antioxidant value provide protection from free radical damage to cellular DNA and are anti-inflammatory. When using the antioxidant list, use the “mean column” and the “total ORAC” row. You might be surprised that some foods you think are very powerful antioxidants may not be. A few that might surprise you; pecans are a very high antioxidant food, as is cinnamon, cloves, oregano, rice bran, sumac bran, sorghum bran, unsweetened cocoa powder and elderberries. You should take a very high quality nutritional compliment every day. The nutritional product should contain a broad spectrum of vitamins, minerals, enzymes, essential fatty acids, fiber, protein, prebiotics, probiotics and antioxidants. This is very important because you must address total body health along with the rebuilding of the intestinal environment. Your odds of overcoming fibromyalgia are low without a strong nutritional approach. Complements or supplements do not replace a healthy diet. Eat healthy and complement the diet. Stress management is critical. Exercise helps cut stress and moves toxins out of the body. Gentle exercises such as yoga, Tai Chi, Qigong and water aerobics have proven effective at helping to reduce the pain and fatigue symptoms of fibromyalgia. Massage, sauna and a soaking bath in Epsom salt helps relax muscles and reduce pain. It is important to work with a nutrition professional to insure you are addressing your particular nutritional needs. Taking the wrong combination of supplements could make your symptoms worse. This is not a health condition where you buy a bunch of supplements and expect to get results. It is a combination of diet, added nutrition, the elimination of potential toxins, exercise and stress management tailored for you, specifically. In summary, remove bad foods, eat healthy nutrient dense foods, get added high quality nutrition ( needs may be different for each person), practice gentle exercising every day if possible, cut the amount of stress in your life and reduce your risk of exposure to environmental chemicals and toxins and food born pathogens. This may sound too simple but for most people it can have profound effects on fibromyalgia symptoms. You will be amazed at what a difference changing your diet will do for your body. These two web sites may be of value to you. Great Food Does The Body Great! If you would like specific guidance with fibromyalgia I would be honored to assist you.